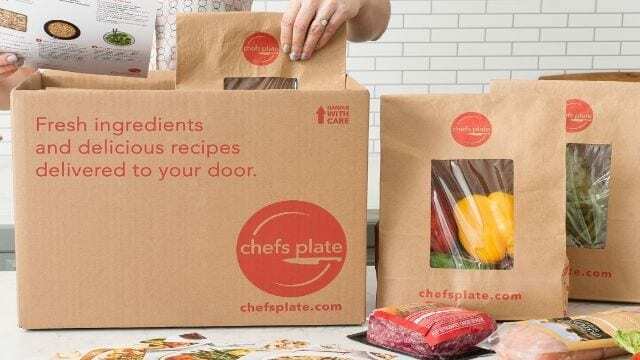 CANADA – HelloFresh, an international publicly traded meal-kit company, has bought Canadian meal kit brand Chefs Plate as it seeks to serve the widest product variety in the industry to Canadian consumers. According to the Germany-headquartered HelloFresh, it has combined with its local branch, the newly formed entity under the HelloFresh umbrella will target revenues of about US$153.1 million in 2019. It added that the integration provides “significant opportunities” to create value with identified synergies of up to US$7.7 million per year through joint procurement and production as well as marketing efficiencies. The expected economies of scale created through the transaction will help HelloFresh’s Canadian business break even over the course of 2019, the company said. Founded in 2014, Toronto-based Chefs Plate has fulfilment centres in both Vancouver and Toronto. “It is our declared strategy to accelerate our global growth investments to capitalise on current market opportunities. The integration of Chefs Plate is clearly such a unique opportunity to expand our leadership position across North America. Canada is one of our fastest growing markets that shows high consumer demand for meal kits,” said HelloFresh COO and co-founder Thomas Griesel. Chefs Plate CEO and co-founder Jamie Shea added: “We are proud to join forces with the leading global meal kit company HelloFresh. Since our launch in 2014, we have been the pioneers in the industry in Canada, following our clear mission to create meaningful human connections through food. HelloFresh shares our passion for food and quality at all levels. The partnership will allow us to further strengthen our offering and to serve more and more Canadians. The closing of the transaction is expected to occur within the next few weeks. Earlier this year, HelloFresh bought US organic meal kit provider Green Chef and entered into the retail segment for the first time.